There are lots of people looking for a change in business development nowadays. The change would be technical as well as economical. Well, the economy grows once the market value implies on demand. For the same what you need to do is to set the clarity in mind with what is the way to get the demand for the current business growth. There is technology plays a crucial role for the same now it became a major game in terms of business expansion in the present scenario. Your web and mobile appearance matter a lot! If it is not, you’ve gone case in this condition. 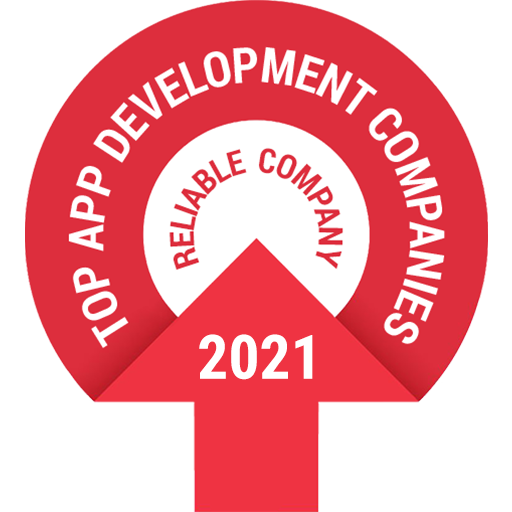 So you must know what are the best ways to find dedicated app developers. The first question is here that how to find dedicated app developers? Just search in the Google Search Engine who tell you the correct numbers in billion, people changing their business lifestyle in terms of accepting the technology. You need to arise with the question like how do I appear on the web and mobile application to run my business on the dot. Everything depends on your goals and required a level of professionalism. One of the best places you can find great app developers is meetups. Because, firstly it’s filtering the app developers, who care enough about the craft, to give up some other evenings, to go meet with their peers, to network and to learn about the new technologies. There is a crowd who is looking for the new jobs and opportunity for the trade a product using the online podium. You can find all of them and can start to build a relationship. You are trying to find to meet somebody that will help you with your particular project and does that person you are speaking to know anyone? If an owner wishes to work himself a part of his personal interest then you can clarify whether it’s part-time or full-time job. One can hire app developers for the entire project to get full attention towards the product development very seriously. Referrals like clutch.co, upwork.com are popular for finding app developers. You can hire app developers to power your business roots by selecting proper information techies. Nowadays it’s just an easy to hire mobile app developers from the well-known mobile app development company. I can say it is just a call away from you. Call iMOBDEV Technologies for your mobile app development. We’re the enthusiast to hear your requirements for developing your business mobile app. They have a depth information by experiencing ongoing development projects that provide you with the clarity of what you wish to create. You can hire the developers from anywhere in the world. You have an opportunity to select the app developer from region wise. You could search for the freelancers or pay your attention to the experienced teams. If you go through the references that definitely sounds better. There may chance to get a real demonstration of the developed product. The reference makes your trust stronger than hiring unknown. The benefits of going through references are like; meeting developers, business analyst, business developers. The live approach makes you comfortable to open up their thinking in front of the mobile app development team. The company value can be check for the recognition like ISO 9001:2008 and other authorized company. The app developers must have command of programming languages and framework. They should keep the learning attitude for upgrading themselves to enhancing the project robustness and security. Aa app developer’s individual information and expertise in particular language and framework make you able to understand his/her skill, abilities and working style for the mobile app development as well web development. An equanimous intellect mind will definitely manage the multiple projects at the same time. A systematic work between designers and developers depicts the better experience to users. UI/UX designers will shape your requirements into the real experience. A developer will fit their intelligence to make successful design appearance of the mobile app. So the rhythm of both must meet each other. Once an employee joins iMOBDEV; he/she became iMOBIAN and that stands for unity and active working signature for them. At iMOBDEV Technologies, developers, designers, and all the other categories of employees work like play. And the game executes very tremendously when talking about results the output. You are welcome to your project and requirement to the iMOBDEV doorstep and definitely get happiest business deal ever. What do you think about hiring an app developer? It’s already made easier in the conversation made for you. I think you have a well-prepared dish in your hand and just look at items I had arranged for you to look upon it and find the best one mobile app development company who fulfill your requirements and desires. Hope the given ways to find app developers will help you. I am sure could mention that iMOBDEV Technologies can land your dreams on the floor for your business growth. Your web and mobile appearance matter a lot! If it is not, you've gone case in this condition. So you must know what are the best ways to find dedicated app developers. Informative and very helpful content, Thanks for sharing your views. Good job. Keep going on. This is a complete guide on Hire Application Developer. I totally agree with all the points that you have mentioned here. Thanks for sharing this information.